"Goths! On the Bus!" 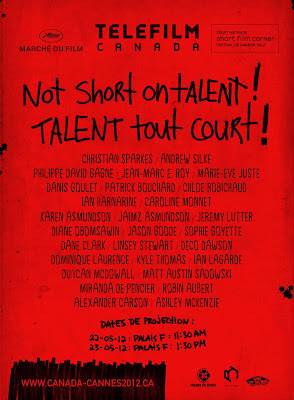 has been selected to be screened as part of Telefilm Canada's Canada: Not Short On Talent at the Cannes Film Market. Other Manitobans with films in the festival include Caroline Monnet and Deco Dawson. For the seventh edition of Perspective Canada at the Cannes Film Market, Telefilm Canada is pleased to announce that Canada: Not Short on Talent is back for a second year. 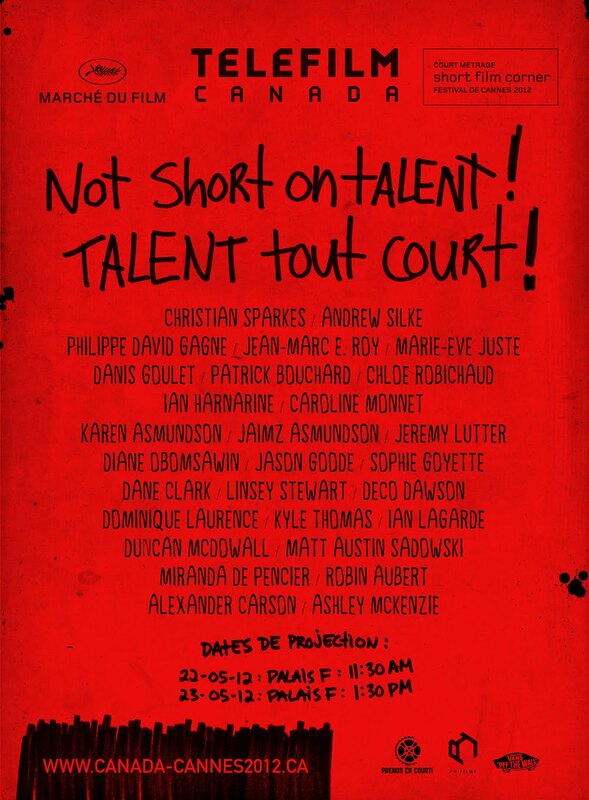 The program of 25 Canadian shorts was curated by Danny Lennon, the founder of Prends ça court! and a renowned programmer on the international festival circuit. The films were selected to represent the diversity of Canadian talent, with directors from all across the country. Emerging talent is featured in both Herd Leader (Chef de meute) by Chloé Robichaud, competing in the Official Selection for the Short Film Palme d’or, and With Jeff (Avec Jeff, à moto) by Marie-Ève Juste screening at the Directors’ Fortnight. The selection also includes well-known directors such as Robin Aubert, Deco Dawson and Diane Obomsawin, as well as award-winning creations such as Doubles With Slight Pepper by Ian Harnarine, winner of best Canadian short at the Toronto International Film Festival and the Genie Awards, and financed by the Spike Lee Production Fund. The shorts are also entered in the Short Film Corner, a section of the Cannes Film Market dedicated to short films, with viewing stations for buyers and accredited professionals. Telefilm Canada's microsite (www.canada-cannes2012.ca) offers information about the Canadian presence in Cannes, including schedules and details about the films presented at the Festival, Perspective Canada and the Canada: Not Short on Talent program. Profiles of Canadian producers and other Canadian companies registered at the Canadian Pavilion are also available.